It’s been a while since my last post. Thank you, if you have noticed. The gap does not indicate any waning of my enthusiasm for the cause of connecting people to nature. If anything my enthusiasm is stronger. 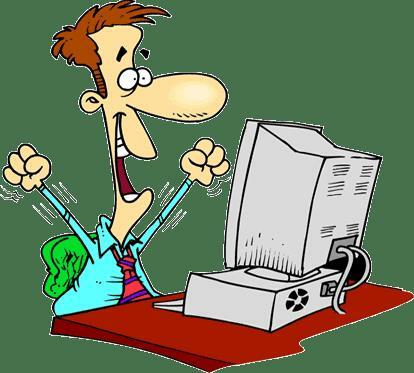 I have been distracted from my blog by the task of revising Claim Your Wildness with a view to making it available as a paperback as well as an e-book. The revised edition will be in two parts, the first covering the “Why” of connecting with nature, and the second, the “How”. The “Why” part will comprise most of book’s existing chapters plus a chapter on awe and wonder. The “How” part will be a major addition to the book and will be a comprehensive source of practical guidelines for connecting with nature in the home, neighbourhood and beyond. It will also have a “how-to” chapter on connecting children with nature and one on using nature as a resource for health and wellness. Speaking of nature and health, a landmark paper has just been published on that topic. The paper is based on extensive work done by Caoimhe Twohig-Bennett and Andy Jones both from the University of East Anglia Disappointingly, the paper has had little media coverage even though what it has to say is of enormous public policy as well as personal significance. The paper does not report the findings of a new investigation but the results of a synthesis of 143 studies into the effects of access to green space on physical health. The forms of green space represented in the review cover undeveloped land with natural vegetation as well as urban parks and vegetated streets. The studies are from 20 countries including the UK, the USA, Spain, France, Germany, Australia and Japan. The number of subjects involved in the individual studies varied but in some cases ran into the millions. The strength of research reviews is that their results are obtained by pooling and analysing the actual data or “numbers” (rather than the stated findings) from separate studies. Some sophisticated statistical techniques are involved on top of the rigorous procedures that have to be followed to ensure that the pool of studies is as complete as possible and only scientifically sound studies are included. In some ways, a well conducted review is as good as doing a single massive study. This means that the results of reviews are more trustworthy than those from individual studies. For their review, Bennett and Jones, compared the health markers (e.g., blood pressure) and conditions (e.g., diabetes II) of two categories of people, those with little access to green spaces and those with the highest amount of exposure. They found that spending time in, or living close to, natural green spaces is associated with diverse and significant health benefits. It reduces the risk of type II diabetes, cardiovascular disease, premature death, and preterm birth, and increases sleep duration. 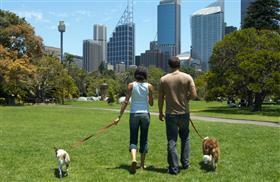 People living closer to nature also had reduced diastolic blood pressure, heart rate and stress. Back in the 19th century Henry David Thoreau wrote about the tonic of wildness to convey his belief in the health benefits of exposure to nature. More recently, the terms, “vitamin G” (for greenspace) and “vitamin N” (for nature) have been coined for the same purpose. The findings of the Bennett and Jones review confirm that such terms are scientifically valid as well as “catchy”. We do well (literally) to see exposure to nature as an ingredient of a healthy lifestyle just as essential as being physically active, following dietary guidelines and being socially engaged. 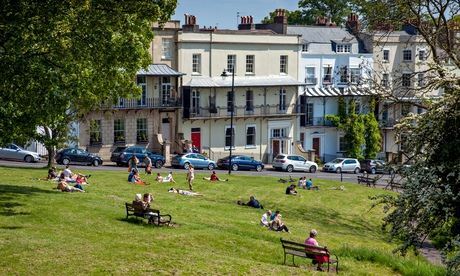 We also need to send the message to politicians, planning bureaucrats and developers that investment in greenspace is investment in public health no less important than the spending on “public illness” (much of which is in our own hands to prevent). My last post was about the link between nature connectedness and happiness, making this an appropriate spot to take a broader look at the important concept of nature connectedness. Specifically, I would like to provide a picture of what nature connectedness looks like “in the flesh” – in a person’s behaviour, in other words. Such a picture enables us to recognise a nature connected person when we meet them. It may also broaden you own awareness and appreciation of yourself. First let me sketch the picture in broad strokes. A person displaying these characteristics can truly be regarded as having a “friendship” with nature. Indeed, if you substituted “another person” for all the references to “nature” in the five points, you would have a pretty complete definition of conventional friendship. One of the most nature connected people you could hope to meet is Revol Erutan (ee-root-tan), known as Rev to his friends and acquaintances. Rev is the walking and talking embodiment of what it means to have a deep “friendship” with nature. He spends much of his leisure time bushwalking, canyoning and rock climbing. By profession he is a horticulturalist, having chosen that career ahead of other options he had. The extent of his contact with the natural world is certainly a pointer to his nature-connectedness, but it is not a fully reliable indicator. For a better one, you need to ask what motivates Rev’s nature activities. Contrary to what you might expect, his motivation has less to do with achieving performance or ego-enhancing goals, such as completing a demanding walk or managing a challenging rock climb, than with the joy, peace and other “intrinsic” delights of simply being in nature. For Rev, there does not have to be a reason for seeking nature experiences – in the same way that just being with a loved one is an end in itself. In the spirit of the Scandinavian philosophy of Frituftsliv, Rev simply seeks the companionship of nature. Even though his horticultural training puts him ahead of most other people as far as understanding plant behaviour and ecology are concerned, Rev never seems to tire of observing and investigating nature. He is always on the lookout for insects, animals, flowers and notable landscape features. He seems to have a sharper awareness of the natural environment than most other people. Not surprisingly, he is an avid watcher of nature shows on TV and subscribes to several outdoor and conservation magazines. He also has an impressive kit of bushcraft skills. Lighting a fire in steady rain is no problem to him, for example. Altogether Rev’s confidence in his knowledge and skills allows him to feel very much “at home” in wild places. For Rev, other living creatures are much more than objects to be studied. He respects them and strongly defends their right to an uncompromised existence. He would detour around an orb spider’s web stretching across a bush track rather than damage it. Sensitive and caring behaviour of this kind is his typical modus operandi in nature, reflecting the empathy he has with all living creatures and the world on which they depend. He gets enormous pleasure from chance moments spent in the presence of a wombat, wallaby, echidna, water dragon or other citizens of the bush. He is distressed and angered by attitudes and actions that threaten the well-being of nature’s inhabitants – large and small; beautiful and ugly, benign and dangerous (deadly pathogens excepted). Although hunting for “sport” is anathema to him, he admires those indigenous hunting cultures that have succeeded in living off nature sustainably. Rev would say of himself that he feels a genuine sense of kinship with other creatures. There are no strings attached to his relationship with nature. It has the quality of encounter, an I-you rather than an I-it relationship. He accepts nature as it is, with all the challenges it can pose and the discomforts it can deliver. He has no desire to change nature or to “overcome” it. Rev’s kinship with nature fires a very active commitment to sustainability and conservation. He is a “greenie” – not in the political but the practical sense. On the home front, he is an exemplary re-user and recycler. Although an apartment dweller, he maintains a worm farm and has managed to get a compositing system operating in his block (the compost goes to a nearby community garden where Rev helps out). In relation to the conservation scene, he is a member of at least two environmental organisations and participates in rallies, marches and other activities concerned with the welfare of the natural environment. If Rev were ever to talk about himself at any length, you would learn that his sense of who he is – his sense of identity – is tightly bound up with his experience of nature. His image or concept of himself is highly coloured by the feelings, attitudes and values he has towards the natural world and by what he does in and for nature. 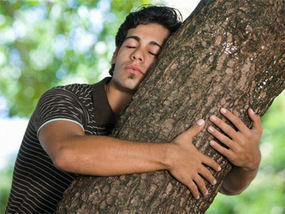 It would be very clear that he feels at one with nature, not only intellectually but also emotionally and spiritually. He does not see himself as separate from the natural world but part of it – belonging to nature as much as nature belongs to him. It will come as no surprise that Rev attributes much of his happiness and well-being to nature. He is testimony to the value of being a “nature person”. We could do a lot worth than aspiring to be like him. Time now to come clean: there is no actual person, Revol Erutan (Perhaps his name – “nature lover” in reverse – may have made you suspicious), but there is a reality behind the fiction. He is a composite of real-life nature connected people I know personally or from autobiographical accounts. More than that; he faithfully reflects observations and data from formal studies of nature connectedness and nature connected people. He may not exist in fact, but many others like him certainly do. This was one of the five common regrets of dying people as reported by palliative care nurse, Bonnie Ware, (see my last post). The message for us is obvious – make and take as many opportunities as we can to be happy. Straightforward as it may seem, this message raises the two age-old questions: What is happiness? and How do we achieve it? Philosophers and psychologists have traditionally thought about happiness and its attainment it in one of two ways. The oldest point of view is that happiness is experiencing more pleasure than pain, so finding happiness involves maximising pleasure and minimising pain. This is the hedonistic or what Martin Seligman calls the “pleasant life” view of happiness. Happy people, according to this perspective, are strong on fun-seeking, satisfying desires and avoiding unpleasantness (pain). The second and more recent standpoint argues that happiness is all about achieving fulfilment, satisfaction and meaning in life. This is referred to as the eudiamonistic (eu = good; daimon = spirit) view of happiness because it has to do with personal growth and the realization of potential. There are two variations on the eudiamonistic theme: desire theory and objective list theory. According to desire theory, happiness is a matter of getting what you want without regard to the worthiness or otherwise of what is desired. Desire theory and hedonism overlap when what we want is lots of pleasure and little pain. But desire theory goes further by holding that fulfilling a desire contributes to happiness regardless of the pleasure (or pain) involved. A climber on top of Mt Everest can be very happy even though she is exhausted, frost-bitten and uncertain about the descent. Desire theory is the “good life” view of happiness and is conspicuously on display in consumerism. Objective list theory holds that happiness resides in the pursuit of goals that are objectively judged to be worthwhile – career success, friendship, relief of poverty and kindness to others, for example. Such goals are transcendent in the sense that they are larger and more worthwhile than just the self’s pleasures and desires. The objective list theory gives us the “meaningful life” view of happiness. Seligman, accepts that each of the three forms of happiness are genuine but insists that “authentic happiness” comprises all three. He says that only by experiencing the three can we lay claim to living the “full life”. We don’t need research to tell us that good health is a powerful contributor to happiness in all its forms. This is intuitively obvious. But research has identified other factors such as income level (but only up to the point beyond which each additional dollar makes no difference), education, marital status, volunteering, religious faith and physical attractiveness. Matching the most significant of these is another that may surprise you – “nature connectedness” (NC). Just as we all differ on personality traits such as extraversion, conscientiousness and openness, we differ on the degree to which we feel connected with the natural world. People with a strong sense of connection to nature feel a kinship with animals and plants and think of the natural world as a community to which they belong. They spend more time in the out-of-doors, engage in nature conservation activities and practices and exhibit a high degree of concern about the human impact on planetary health. Before reading on, please click on this link and run the immensely entertaining video to watch NC on display – in quite small children as well as adults. In fact, we are all born with the biological foundations of NC but what is built on these foundations depends very much on life experiences and culture. Just like many other characteristics of personality, NC is the product of heredity and environment – nature and nurture – working together. Several well-tested measures of NC have been developed. This has paved the way for research into NC’s relationship with other aspects of personality and behaviour including happiness. The study of the link between NC and happiness has attracted quite a deal of research attention, to the extent that a recent review of the research was able to integrate the findings of no fewer than 21 scientifically sound studies. The review pooled data from the 21 studies in such a way as to extract findings that were reflective of all the studies combined. What this means is that we have findings effectively from a sample of over 8,500 subjects, of both genders, aged from 19 to 63 years, with diverse educational backgrounds and from a range of North American, European and Asian countries. The findings also relate to both hedonistic and eudaimonistic happiness as measures of either or both were used in the studies. The general picture that emerged from the review is that people who are more connected with nature experience more positive emotions, vitality (get-up-go) and satisfaction with life. Although in measurement terms, the associations were small they were of a similar size to those reported for the other known contributors to happiness mentioned earlier – income, education, volunteering, etc. Interestingly, NC’s strongest association was with vitality, which probably straddles both the two main types of happiness. The broad conclusion of the review is that being connected with nature and feeling happy are linked. But it has yet to be established how the link works. One possible path is that a high level of NC makes us more open and emotionally responsive to nature’s beauty, awesomeness and tranquillity. There is indeed some evidence for this . And of course, people who are highly connected with nature are also more likely to engage in outdoor activities that are enjoyable and rewarding. Since strong NC is an ingredient of happiness it would be great if we knew for certain how NC is best nurtured. A broad brush theory is that NC develops as a consequence of engaging with nature in pleasurable and rewarding ways. But that theory needs to tested and refined to account for differences in people’s make-up, life experiences and circumstances. I am not really a New Year’s resolution person, but an article and book by Bronnie Ware got me thinking that there are some resolutions really worth making and keeping. A palliative care nurse of longstanding, Bronnie has accompanied many people through the last weeks of their lives. Many of these times, she says were “incredibly special” – times of growth and positive change as well as times of emotional distress. I wish I’d the courage to live a life true to myself, not the life others expected of me. I wish I hadn’t worked so hard (A regret from almost every male patient). I wish I’d the courage to express my feelings. It is easy to draw personal resolutions of real substance and significance from each of these themes. When I did this for myself, I also had in mind a comment my friend Tory Hughes made when I asked her why people were retreating from nature and missing out on so much pleasure, happiness, personal fulfilment and friendship as a result. According to Tory, it is because people have difficulty giving themselves permission to do otherwise. Real and perceived work, social and family obligations and pressures get in the way of doing things that really matter for oneself (and those dear to us), including connecting with nature. In addition to identifying the obvious general guidelines that are suggested by the themes, I also pondered how the themes could help us rethink our day-to-day relationship with nature. The result is a kind of personal mission statement. find pleasure and joy in natural places and the things of nature. I sometimes think that sharing such thoughts – with a view to promoting engagement with nature – is as productive as whistling in the wind. But then along comes evidence that restores my belief that people’s desire for nature, though muted in many cases, is alive and well. Just this week, for example, the press carried a report of a government survey which asked participants, all drawn from across the suburbs of Sydney, to rank the characteristics of their area that they most valued. The areas surveyed differed markedly in the mix of built and green spaces, some were much more endowed with urban bushland or parks. But across all areas, the attribute most valued was “elements of the natural environment”, or the areas natural features such as views, vegetat ion, topography, water and wildlife. Not surprisingly, this attribute was most likely to top the list in the best endowed areas. These findings echo those of many other similar surveys, all sending the clear message – people want to have nature in their lives. Even though they may not always realise it, this desire is part of their genetic heritage, a universal urge prompting them to seek that which is their birthright. Happy New Year in and out of nature. You may be as surprised as I was to learn that there is a connection between the damaging social inequality characteristic of most western societies and people’s concern for nature. Nature is losing out in those societies where the gap between the “haves” and “have-nots” is widening (as it is in most first-world and some developing countries). Why this is so is still being investigated but research already indicates that personal and social values are involved. Driven by an obsession with production and consumption, western societies have embraced values that are both socially divisive and environmentally prejudicial. These values are the antithesis of those that underpinned the survival of our species through thousands, if not hundreds of thousands, of years. These “primal” or “natural” values are those that safeguarded group cohesion and the equitable sharing of food and other essential resources. The successful hunter–gather societies were (and indeed still are) egalitarian rather than hierarchical. Most modern societies comprise hierarchically ordered groups – a few, small and powerful “have” groups at the top of the pile, more, larger and powerless “have-not” groups at the bottom, with other groups of varying affluence and power strung out between. According to the proponents of “social dominance theory”, the affluent and powerful groups in society seek to preserve their status by manoeuvring politically and otherwise to defend and even increase their affluence and power. Other groups in society are seen as “inferior” and less worthy of the “good life”. We are seeing the consequences of this mind-set and its underlying values in the flowering of far right politics, the rampant distrust of political and corporate power brokers and the growing acceptance of bigotry, racism and discrimination. When members of a society embrace the social dominance mind-set, concern for others and compassion are casualties. Hunter-gatherer societies go out of their way to prevent this happening. The Ju/’hoansi (pronounced Dju-kwa-si) people of the Kalahari Desert, for example, are “fiercely egalitarian and uncompromisingly committed to sharing. They regard selfishness with hostility and are strongly opposed to self-promotion and arrogance. As life in Ju/’hoansi communities is very public, the close and constant scrutiny for violation of these values is both possible and effective. The communities also employ elaborate practices to keep egos in check. These practices include downplaying the value of a hunter’s kill, making self-effacing comments, using put-downs and giving back-handed compliments. They have no formal leadership institutions. Men and women enjoy equal decision-making powers, children play largely non-competitive games in mixed age groups, and the elderly, while treated with great affection, are not afforded any special privileges. All of this discourages the accumulation of wealth and influence, and the over-exploitation of the environment. Unsurprisingly, traditional Ju/’hoansi communities are generally carefree, harmonious and co-operative and have a low incidence of depression, anxiety, hostility and aggression. It should also come as no surprise that the Ju/’hoansi are part of one of most stable, enduring, successful and sustainable societies that has ever existed. Genomic and archaeological evidence indicates that they have been around for at least 150,000 years, having navigated the climatic and other crises that decimated many other human populations. As well as living compassionately and sustainably with one another, the Ju/’hoansi are masters of living compassionately and sustainably with nature. Their desert habitat in southern Africa is one of the few regions on earth where multiple species of megafauna have survived the coming of humans. The Ju/’hoansi still make use of over 150 plant species and are able to track and trap virtually any animal they choose to. Despite their extraordinary skills, they have only ever worked to meet their immediate needs (typically for about 15 hours per week), have not stored surpluses, and have never harvested more than they could eat in the short term. The Ju/’hoansi clearly do not comply with the assumption of modern economic theory that people always have wants beyond their means (the so-called “problem of scarcity”); the Ju/’hoansi have few wants and ample means to meet them. This has prompted anthropologists to dub them, “the original affluent society”. But theirs is “affluence without abundance”. Even though Ju/’hoansi society could never be considered a blueprint for our own, we would be stupid not to draw lessons from their way of life and particularly their egalitarianism. While egalitarianism and self-interest can co-exist, the empathic, and indeed compassionate, concern for others is a strong driver of egalitarianism. To value egalitarianism, therefore, is to value empathy and compassion. 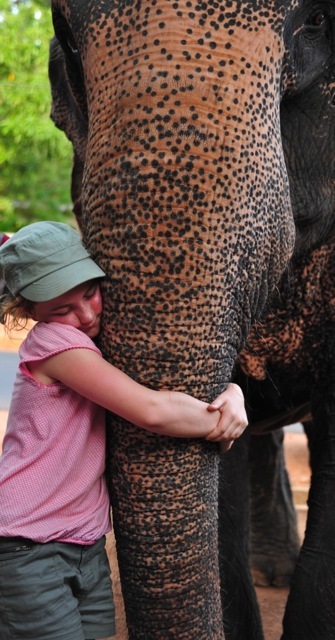 In the social dominance mindset, compassion struggles to have a significant influence. As a consequence a concern for others and altruistic behaviour are likely to be muted. And the consequences may not stop there. German researchers recently reported studies showing not only that compassion marches hand in hand with a concern for nature but also that the relationship is causal – increase compassion and nature also benefits. These findings may help to explain the connection I referred to at the beginning of this post – between social inequality and a diminished concern for nature. The strongest evidence we have of this connection comes from a survey of 4500 participants from 25 countries. The survey measured social dominance mindset with a questionnaire that requires respondents to declare the strength of their agreement or disagreement with a series of statements such as, “An ideal society requires some groups to be on top and others to be at the bottom”, and “Some groups of people are simply inferior to other groups”. The resulting score indicates the respondent’s “social dominance orientation” or SDO (Follow this link to discover your SDO).Participants in the survey were also asked about their environmental “intentions”, whether, for example, they would sign a petition in support of environmental protection, or try to reduce their carbon footprint by cycling or walking instead of driving. The survey found a clear association between SDO and environmental intentions – a high SDO made a person less likely to take pro-environment actions. In other words, people who hold altruistic values (or are strong on compassion) and who want to achieve equality in society tend to be more concerned about the environment. Although this is a descriptive finding, the scale of the study from which it comes makes it quite robust. Perhaps working to make a society more egalitarian could be a way of strengthening its member’s connection to nature as well as their commitment to environmental protection. An idea worth thinking about, I believe. In all of my writings about the life-enriching link between nature and human well-being, I have never talked about the bearing this link has on the quality of family life. In my book, Claim Your Wildness, I advocate engaging in nature activities on a family basis, but nowhere have I actually explained the reason for my enthusiasm. One reason for this is that research has little to say about the topic. This is very surprising as it is easy to find anecdotal evidence (from people’s informal observations and experiences) indicating that shared nature activities can enhance and strengthen family life in all manner of valuable ways. Based on my own family’s experience, I feel that a great deal of confidence can be placed in this anecdotal evidence. This is not to suggest for one minute that what nature has done for my family it will do for all families. Families and family life are just too diverse for that to be the case. But there is much that families have in common so that what has happened to one family may be a helpful guide and perhaps inspiration to others in some respects at least. So with that possibility in mind, I asked my immediate family members (wife, Margaret and adult daughters, Wendy and Susan) to reflect on the impact that shared nature activities, primarily bushwalking and trekking, have had on our life together as a family. Beginning when our daughters were very young, Margaret and I made Saturday a “family day”, which often involved an outdoor activity of one kind or another. When the girls were older, these outdoor activities morphed into bushwalking which included the occasional backpacking weekend and extended supported walk such as the Milford Track “tramp” in New Zealand. 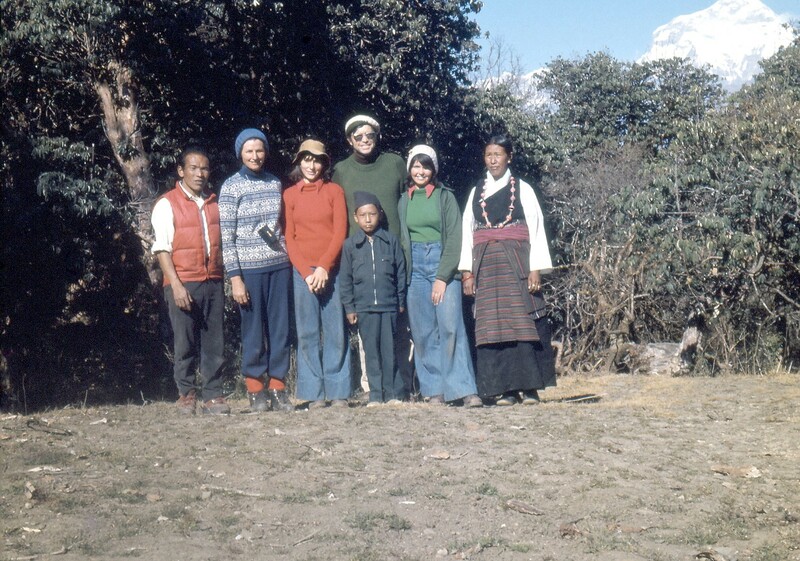 When the girls were in their early teens, we graduated from bushwalking to Himalayan trekking. From then on, nature-based activities formed a core component of our family’s way-of-life – fostering a healthy lifestyle centred largely on physical activity as well as expanding our pleasures, interests, mental well-being and social connectedness. Bushwalking was an activity that came into our family fortuitously. The girls were not involved with weekend sport, so the four of us were free to go out on Saturdays or weekends. The fact that we enjoyed this family activity set us a bit apart from others, as we were all involved in it at an age that was significant for the girls. It was an incredibly ‘ bonding’ opportunity, even though we may not have realised it at the time – experiencing an activity outside our day-to-day routine. We all had to learn about responsibility to the group as well as ourselves. We experienced many challenges, gained confidence, got over differences, cooperated, laughed and gained much knowledge and information. I think we saw each other in a broader, different setting. The activity itself immersed us in nature to varying degrees on different occasions, but again laid the basis for nurturing our inner spirit as well as appreciating and understanding the beauty of the bush. Our first trip to Nepal was an incentive to take a shared ‘walking’ holiday in a very different country. It was, at the time, an unusual thing for a family to do and as we now know, set the background for a wider experience of the world than we could ever have anticipated. It certainly extended our horizons and influenced future choices in life. 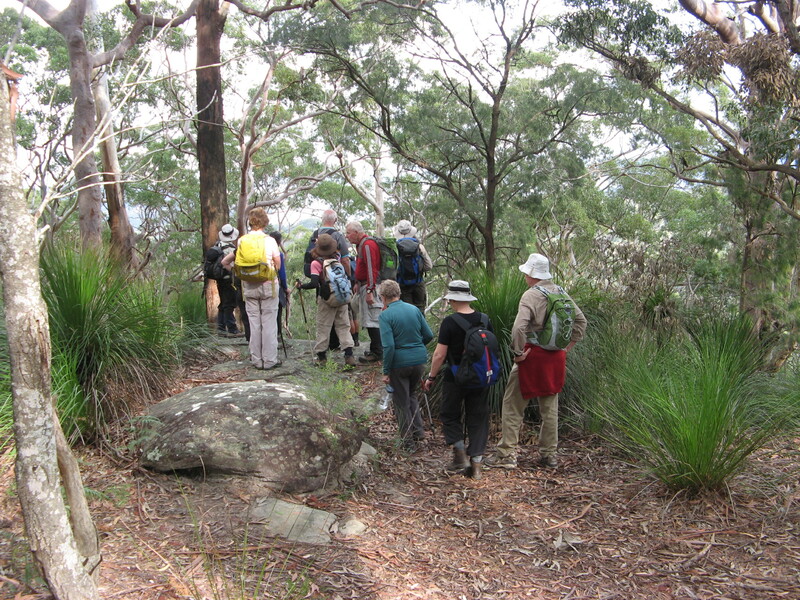 Bushwalking introduced us to people beyond our social scene, creating long-lasting relationships and interests. It taught us that we can manage things we didn’t think we were capable of, and about patience, tolerance and adaptability, solitude and silence. Most of all, it provided us with a world of wonder and interconnected life that is to be shared and cherished. Trekking and bushwalking are unhurried activities that give the gift of time for being together as a family – talking and sharing or simply being in one another’s company. 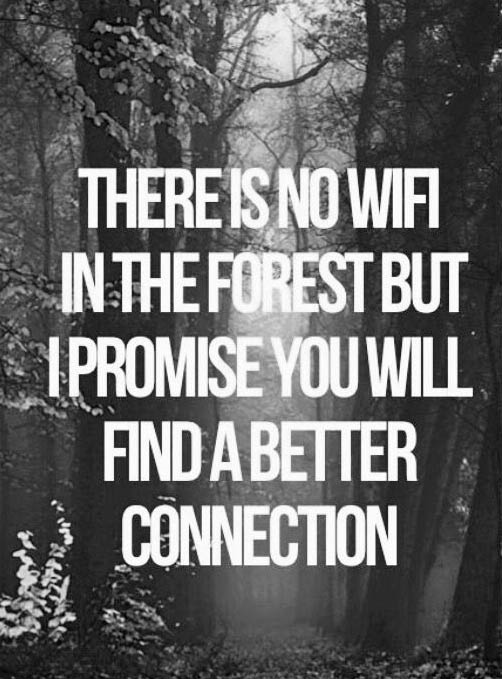 They encourage connecting with your companions as much as with the natural environment. They were also activities that brought the family together around a range of shared attitudes and values, including: love and respect for nature, non-materialism, the primacy of experiences over possessions, living simply and openness to the world beyond suburbia. Trekking and bushwalking also provided an abundance of shared experiences – many of them new and challenging (even fearful) but almost always satisfying and rewarding. They are also levelling experiences in the sense that the demands and challenges were usually the same for all four of us; we were engaging with mum and dad as equals rather than as (powerful) parents and (less powerful) children – an unusual and healthy family dynamic that contributed significantly to building a distinctive family identity. Bushwalking and trekking broadened and deepened our family’s social network, especially by giving us friends to share. People tend to be very supportive of one another when sharing the challenges, discoveries and pleasures of outdoor activities. As our family certainly discovered, strong and enduring friendships often result. Doing demanding activities together as family was phenomenally powerful. The fact that mum and dad were doing something that was new and challenging for them as well as for us provided an extraordinarily valuable model (of considered “envelope pushing” and healthy risk-taking). For this reason preparing for a trek was often as valuable for togetherness and the trek itself. The whole bushwalking experience has been a very strong metaphor for my life. There are the times you have a level path clearly in front of you, glorious views, a light pack and the opportunity to talk (or not talk) to lovely companions. There are times when you need one of those companions to shoulder your pack for you, take your hand, talk you through etc. There are times when the path is pretty unclear and you can’t see your companions, your pack feels like boulders and you just have to trust your gut that you are heading the right way. There are times when you just plod on, not really focussing but simply putting one foot in front of the other, knowing that it won’t always feel like this. And there are times at summits, along ridges or flying down a hill that you almost feel superhuman – super connected. We are certainly very grateful that we bushwalked and trekked together as a family. To some extent it made us the family we are – resourceful, forgiving, tolerant of one another, aware of how to encourage (what to say/ not to say) and resilient.